I don’t have a lot of information on today’s installment of Sea-Floor Sunday. I simply was searching around on the internet for interesting images. I found these from a great site that summarizes a recent set of research cruises called the New Zealand American Submarine Ring of Fire 2005 (NZASRoF’05) Expedition. NOAA’s Ocean Explorer website about these cruises and associated submersible dives can be found here. 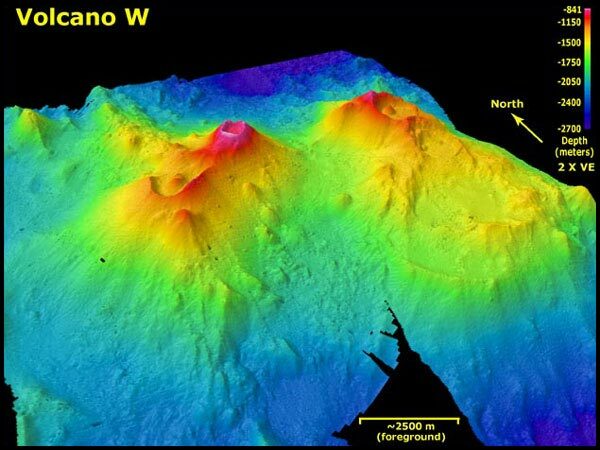 The images below are of two submarine volcanoes along the Kermadec Arc, northeast of New Zealand. Click on them for a bigger version. 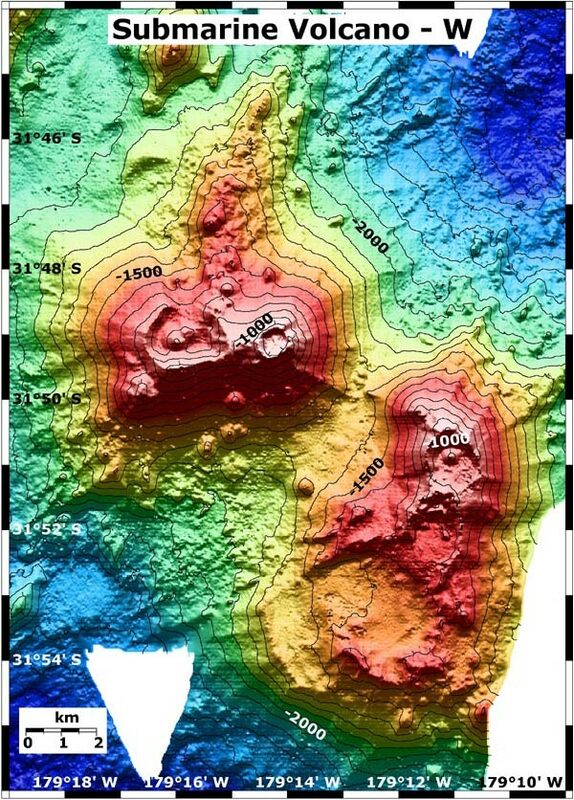 The 3D perspective image below is from the same data and looking to the northeast. The distance between the center of the two cones is about 5 km. This page from the NOAA webpage discusses these images a little more.